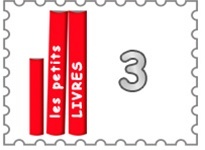 With three books at a time rental, you receive three books and keep them until you are done. After you have returned them, we'll ship you three more. This plan is limited to 3 books per month. - Make your selections for each book you would like to receive: age group, gender and book type. - If you select the option "Add a BD", you will also receive a Bande Dessinée (French comic book) with each shipment for an additional cost of $3/month. - If you select the option "Add storyplayr", you will have unlimited access to hundreds of children's ebooks in French from www.storyplayr.com for 12 months. Adding storyplayr is a one-time fee of $44.99. (Storyplayr is also available as a stand alone plan for $49.99). For more details on storyplayr, see this page. Instructions on how to access storyplayr will be emailed to you when your order has been processed.